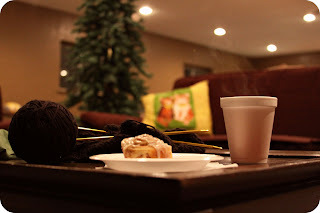 Crafty Night: December was a little different than other Crafty Nights in the past. I almost canceled due to the fact that it's almost Christmas & I thought everyone might be busy with all the holiday preparations & shopping & fretting & stuff. (And I was kinda looking forward to taking a break from teaching a craft.) But then I thought how fun it would be to have all my crafty peeps gather for a night of working on our OWN projects. And that's what we did! Everyone brought yummy eats to share, I made wassail, there were holiday tunes aplenty & everyone took home a "dream" owlie ornament that I customized on the back side to read "crafty night". It was such a relaxing night. 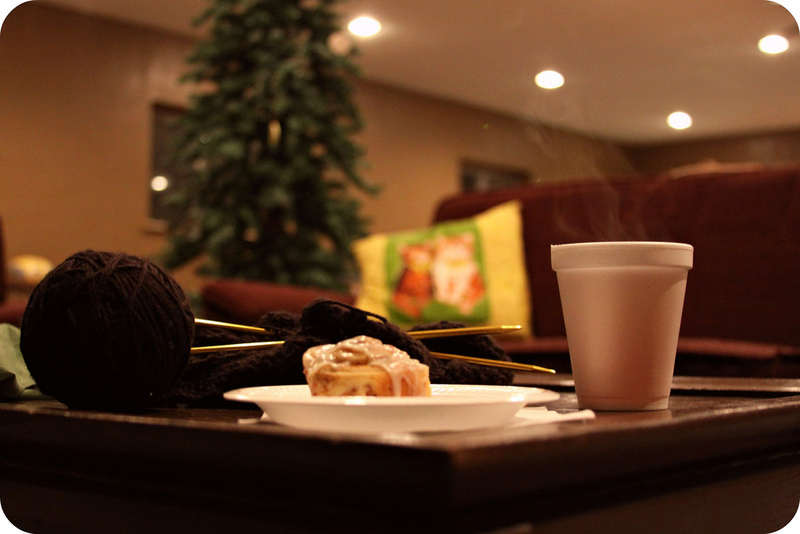 Uninterrupted crafting for a solid chunk of time, surrounded by friends, eating delicious food & sipping hot drinks. It really was perfection. All that said, I've decided to switch up the format of Crafty Night. Hopefully that won't get too confusing. If it does, I have no problem completely rearranging things once again, so that EVERY month we'll bring our own projects & just hang out to craft. It's kind of deflating to put all this time & energy into preparing a night of crafting when not too many crafty peoples are showing up. I don't know if that's because I'm in a small town. I don't know if that's because I'm doing a horrible job of getting the word out. I don't know if that's because the number of crafty people per capita is minimal in my vicinity of the world. I don't know why. Sadly, it's just not worth it. It's just not working out how I dreamed it would. So, we'll see how the new change goes. The new "every other" format begins January 2012. I'll kick things off by teaching a craft. I'll be sending out postcard reminders every month, so if you're thinking of attending, let me know, & I'll put you on the mailing list! To visit the Crafty Night facebook page, click HERE. I have mentioned before that if I didn't live in East Tennessee, I would be a FAITHFUL attender of all your Crafty Nights! we do this - 7 of us neighbors - get together every couple of months to craft in my basement from 7-12mn. It's a good time to work on whatever craft we're working on - eat munchies - and get caught up with our neighbors/friends. I'm always inspired by what others are working on! That pumpkin fluff looks wonderful. May have to add that to my list of things to make for Christmas afternoon snacking! Oh, how i wish i were living at your neighbourhood so that i can join your crafty night's activities. but we are so faaaaarrrr awayyyyy. huhu..